It is with a saddened heart our family announces the passing of "Uncle Herb" Weatherwax. Papa passed away from this life at home, in the early morning of December 12, 2016 surrounded by the love and aloha of his family. Papa's heart was ready and his was a strong and peaceful death. Our dear Papa left this earth with dignity and grace. Uncle Herb was preceded in death by his father, Clarence Herbert Weatherwax of Waterloo, Iowa, mother, Anna Malamanui Keliihoomalu of Kalapana, Hawaii and brothers, Edwin Weatherwax of Keaukaha, Hawaii and Kalaupapa, Molokai, Joseph Pili Kanui of Keaukaha, Hawaii and William Kanui of Keaukaha, Hawaii and Coos Bay, Oregon. Papa was born on June 3, 1917 in Honolulu Hawaii, served in the US Army during WWII and was a proud Pearl Harbor Survivor. 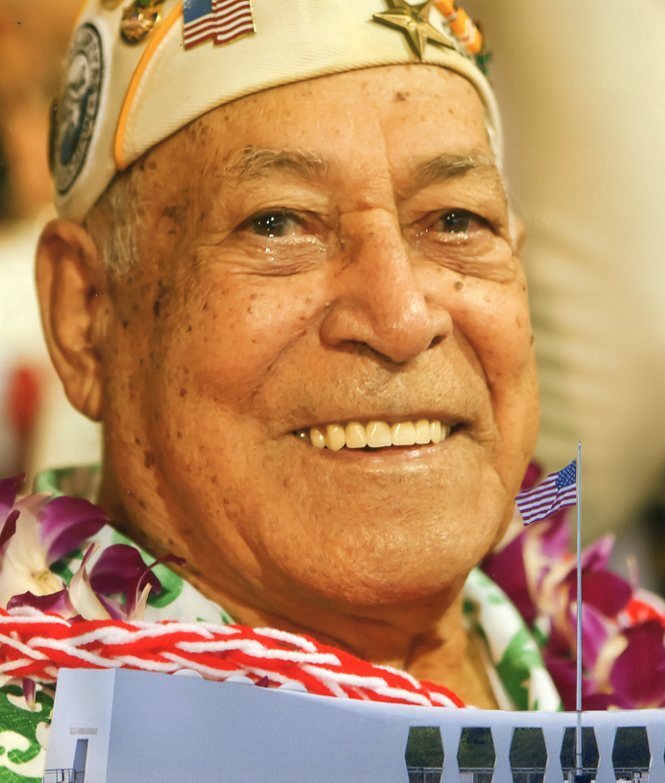 Papa was a true ambassador meeting visitors at the USS Arizona Memorial as a volunteer for many years. Previous to his retirement, Uncle Herb was a local electrical contractor (Weatherwax Electric) in Kailua on Oahu. He is survived by his bride of 65 years, Lehua Christina (Leeloy) Weatherwax, and daughters Mary Elizabeth Bacon (James), Leimomi Keliihomalu Weatherwax, and son Clarence Herbert Weatherwax (Carrie Malamanui). Papa was most proud of his Mo'opuna: Shaan Keliihoomalu Gocong (Veronica), James Andrew Ho'olulu Bacon, Laiekawai Alexcena Bryce-Black (Scott), Ashleigh Christina Leimomi Smith (Raleigh), Clarence Herbert Keliihoomalu Weatherwax III, and Anna-Jessica Lehua Terumi Bacon and his cherished Mo'opuna Kua Kahi: Arianna Leilani Lehua, Sumarah Alanna Leialoha, Vivika Rowland, Khaleesi Aolani, Xander Kal-El Keliihoomalu and Alexzander Joseph Kalamaku Bryce. A private family service is scheduled with Papa's celebration of life to be held fittingly, on his 100th birthday, June 3, 2017.